Buckled pavement caused problems along Lake Shore Drive on June 27, 2016. 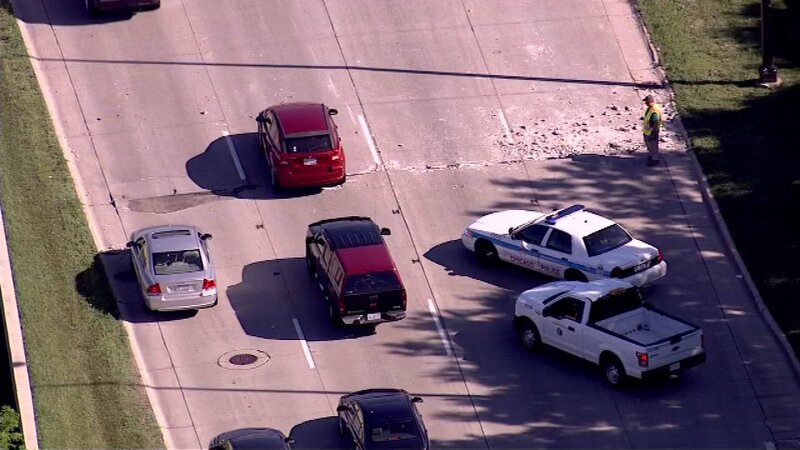 CHICAGO (WLS) -- Some lanes will be closed on northbound Lake Shore Drive Tuesday night as Chicago Department of Transportation workers make repairs to buckled pavement. From 7 p.m. Tuesday to 5 a.m. Wednesday, the Chicago Department of Transportation will shut down two northbound lanes between 31st and 57th streets. CDOT said one lane will remain open and no ramps or exits will be impacted during the closure. Traffic delays are expected and motorists should consider using the Dan Ryan or surface streets to avoid Lake Shore Drive, CDOT said. CDOT said the work is being done to make permanent repairs to pavement that buckled due to the extreme heat in June, as well as to relieve pressure in sections that are still prone to buckling. CDOT said its staff will be monitoring Lake Shore Drive and have crews ready for emergency repairs as more extreme heat is predicted for the end of the week.